C.F. Martin & Co. was founded way back in 1833 by Christian Frederic Martin and is one of the longest running family-owned businesses in America. Current chairman and CEO, C.F. ‘Chris’ Martin IV, is the great-great-great-grandson of founder Christian, and the ethos of the company is the same today as it was in the beginning…to build guitars of the highest quality using only the finest materials. Few companies have had such an impact on their respective industries as Martin has with their guitars. It is perhaps unsurprising then, that Martin acoustic guitars have been seen in the hands of ‘guitar heroes’ on stages the world over for decades. Often imitated but rarely equalled, Martin guitars are the quintessential acoustics, known for their mellow tones and exceptional playability. The dreadnought shape is arguably the most recognisable of all acoustic guitar shapes and it was first introduced by Martin Guitars in 1916. Named after the large battleships, the dreadnought was the largest acoustic guitar available at the time and it produced a broad and loud sound, making it a popular choice for strummers and fingerpickers alike. Since then, most acoustic guitar manufacturers have produced dreadnoughts of their own, each one reminiscent of the original Martin design. The D-28, arguably the most famous of Martin’s dreadnought guitars, is widely regarded by players and luthiers to be THE classic dreadnought acoustic guitar. Featuring a deep bass response as well as a bright top end, the D-28 was welcomed with open arms by musicians on its release in 1931 as it offered a much fuller and ‘bigger’ sound than other guitars available at the time. The D-28 has gone through various changes through the years but the core features remain the same today. With a solid Sitka spruce or Adirondack red spruce top and a solid East Indian rosewood back and sides, the D-28 is arguably the most imitated acoustic guitar of all time. The list of professional players who have played a D-28 goes on and on. Some notable names include John Lennon, Paul McCartney, Elvis Presley, Eric Clapton, Johnny Cash, Jimmy Page, Neil Young, Chris Cornell, Noel Gallagher and Chris Martin (of Coldplay fame, not related to C.F. ‘Chris’ Martin) to name but a few! 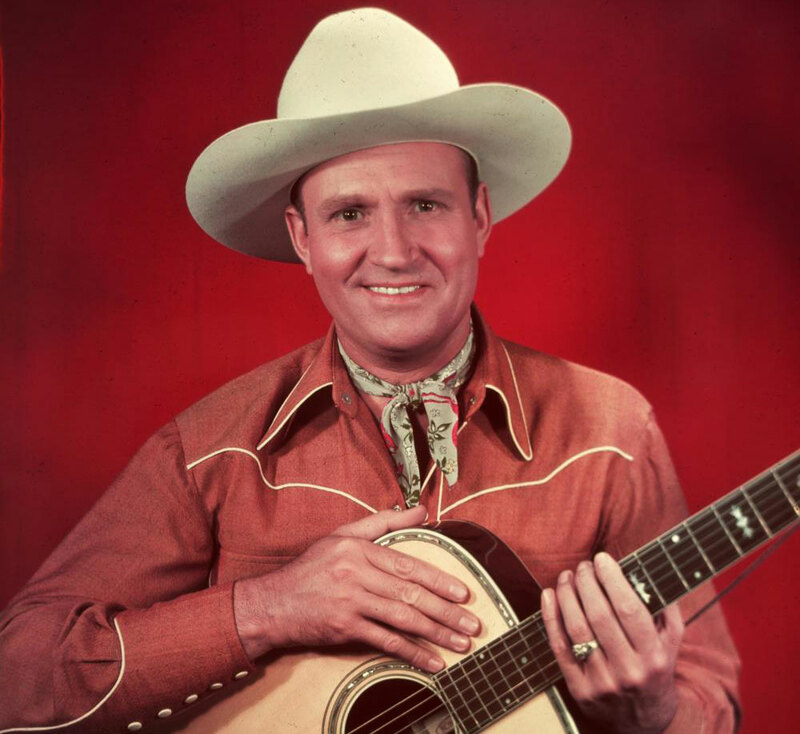 At the top of Martin’s Dreadnought range sits the D-45 which was first introduced in 1933 as a custom build for Cowboy star Gene Autry (pictured) who wanted the “biggest, fanciest Martin he could get!” The D-45 was based on a D-28 but with luxury ornamentation, or “the 45 designation” as Martin called it. Features included Brazilian rosewood back and sides (now critically endangered) and an abalone rosette and fret inlays. Many other ‘singing cowboys’ followed suit shortly after and ordered their own D-45s for use on the silver screen. Production of the D-45 was discontinued after only 91 units in 1942 due to wartime restrictions on materials so if you are lucky enough to be in possession of a D-45 from this era, you could be sitting on a small fortune! The D-45 would not be seen in production again until 1968. C.F. Martin & Co’s influence on popular music goes back a long way but 1954 is the year that holds perhaps the most significance. An up and coming star who would go on to become known simply as ‘The King’, burst on to the scene with his trusty Martin, and popular music would never be the same again. 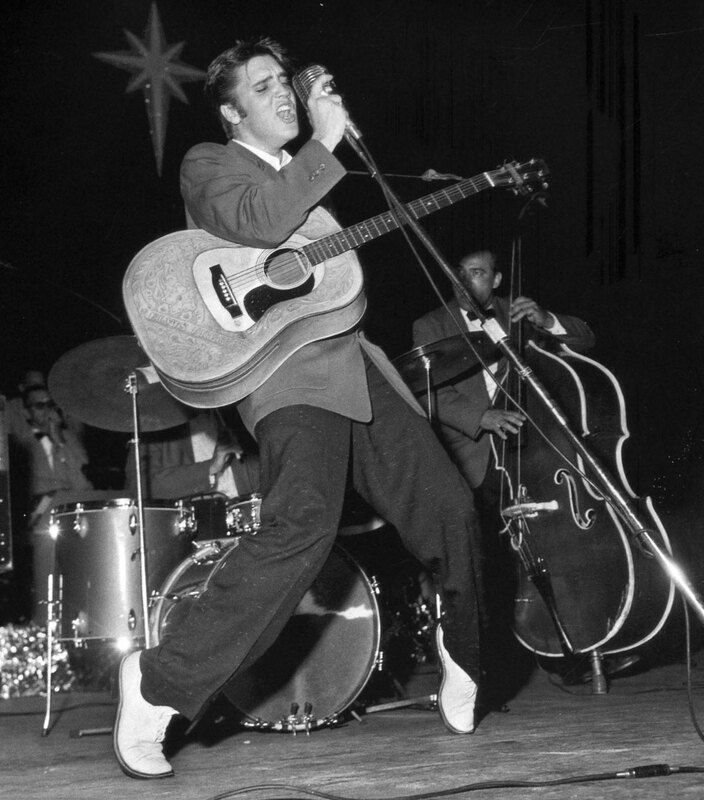 A young Elvis Presley could be seen playing a 1942 D-18, which was used on all of his famous Sun Sessions, and later, a tooled leather covered D-28. Such is the significance of Martin’s dreadnought range of guitars on popular music that it’s hard to imagine how different things might have been without them. 1990 saw C.F. Martin and Co. complete their 500,000th guitar, an HD-28 which was signed by all of their employees and now proudly displayed on Martin’s factory tour route. A few years later in 1994, Martin would literally break more ground by “boldly sending a guitar where no guitar had been before” with a miniature Backpacker ‘Space Guitar’ being sent in orbit aboard the Space Shuttle Columbia! Eric Clapton is a name that has always been synonymous with Martin acoustic guitars, particularly the D-28 and D-45 models, and in 1995, C.F. Martin & Co. released the first in an ongoing and highly successful range of Eric Clapton Signature models including the smaller Martin 000-28EC model. Clapton can be seen playing a 1939 000-42, as well as many other Martin guitars, for the majority of his now legendary MTV Unplugged performance, further proving his love for the Martin brand. This particular 000-42 would later be sold at auction in 2004 for $791,500, the highest price ever paid for an acoustic guitar. Since the 1990s, Martin has honoured more than 100 artists with signature models including Johnny Cash, Eric Clapton, John Lennon, Ed Sheeran and most recently John Mayer. 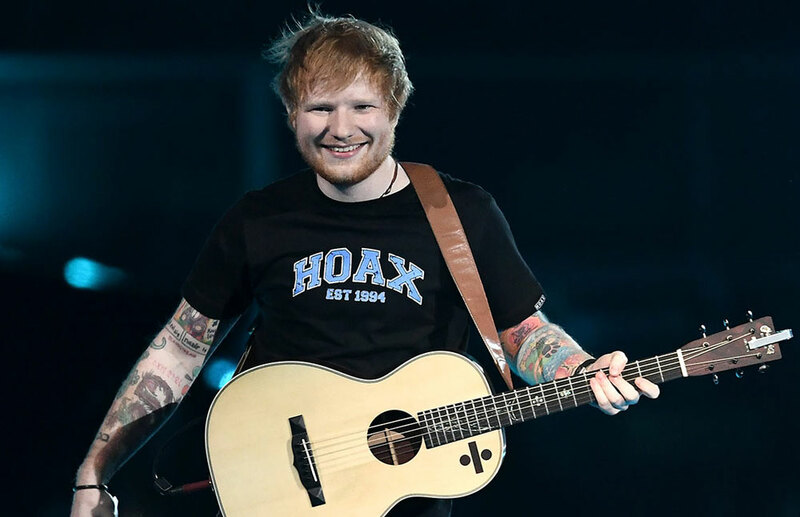 The recent Ed Sheeran range of ‘mini guitars’ has inspired a whole new generation of young musicians to pick up a guitar, learn a few chords and start writing songs, which is no mean feat in a day and age where electronic, computer based music is all the rage. C.F. Martin’s history certainly makes for interesting reading, but not one to rest of their laurels, Martin are always looking to the future. With the availability of precious tonewoods becoming more and more limited, guitars manufactures have been forced to explore alternatives and Martin are no different. Martin’s X Series of guitars feature HPL (High Pressure Laminate) tops, backs and sides which sound great but at a more affordable price, and Richlite fingerboards which is a fantastic alternative to the increasingly endangered ebony. Whether you’re looking for your first ‘proper’ acoustic guitar or you’re playing arenas night after night, Martin has got you covered! Martin acoustics are quite simply, the standard to which every other acoustic is compared.